Jackson mayoral candidate Robert Graham said that his relationships formed during his time as a Hinds County supervisor will help support his focus on infrastructure in the city, including using more inter-local agreements to pave more streets inside the city limits. Photo by Imani Khayyam. Robert Graham traces his 35 years with the Jackson Police Department with a sense of resolve. Starting at JPD as a civilian who mopped the floors, he says it was persistence, or "showing up," that led him to where he is today—behind his desk in the Hinds County Chancery Court building. Showing up, again and again, Graham explains, he worked his way up from janitor to 911 dispatch, then to supervisor of the department, then all the way to public information officer. Throughout his time as Hinds County District 1 supervisor, this philosophy of consistency and persistence has served him well, he says. After retiring from JPD in 2006, Graham ran for his current position in 2007, becoming the first African American to represent District 1, which covers the most northeast corner of the county. Now, in a climate of budgetary constraints and rising homicides compared to this time last year, Graham has turned his attention to Jackson and its mayoral race in the spring. He believes that his law-enforcement experience and managerial know-how differentiate him from the competition and the incumbent. What really sets you apart? My experience, my knowledge of the city. When you work for five different mayors and 23 different police chiefs, and you were the public information officer for the large majority, that means you are in on all of the delicate situations and the delicate conversations. For a period of about 12 years, I went to every violent murder scene: triple homicides, double homicides, keeping the media informed. So I know what crime and violence look like up close and personal. Going to homes where people are laying on the floor dead. Listening to grieving mothers. Those types of things give me a unique perspective as to what has happened. And while I'm here at the county, one of the things that supervisors have always been famous for, if we could do nothing else, we could pave a road. Everybody thinks that we are driving around with the asphalt in the back, but we could pave roads. We know how to pave roads. And my perfect example is Watkins Drive, which we just finished. What is your solution to the City's current budget crunch? I personally do not think that the City is in a budget crunch. I think the City is in a management crunch. And let me preface that by saying this: If you had the correct leadership, if you had the experience and the maturity at the top, your management crisis would not have ballooned into a budget crisis. Because you would have seen from the beginning, you would have anticipated, you would have forecasted the fact that we have budget problems way back here. A good manager will say let's not wait until the day that we have this crisis before we start saying, "oh hell." The management crisis happened two or three years ago, because during the present administration there was an $18-million surplus. And it's kind of hard to spend $18 million, even if you are my wife. It's just kind of hard to do. Even at that, you have to look at the captain of the ship. ... Whether he wants to be or not, is responsible for everything on that ship, he is vicariously liable. When the captain of the ship realizes you're taking on water, you shouldn't wait until you are at the water to say I think that we should do something. I think that there still have to be hard decisions. I think that in this crisis of management that they are in, I think that you are going to have to prioritize, but in order to prioritize you need ... to stop the bleeding. And then you need to have some experience in some institutional or historical knowledge to know what's going on so you know how this stuff works. 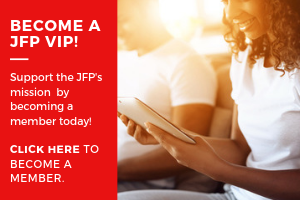 Why are you qualified to know how it works? I am intimately experienced, if that's the right word, of the interworking of the police department, the fire department and a lot of the City departments because of the years that I have worked there. There is no greater, I guess you would say, fundamental responsibility of any elected official than to protect the people they serve. You have to protect the people. But as of right now, when I am out walking around and visiting people and visiting neighborhoods, we are in a crisis of management as it relates to infrastructure and paving the streets. That's the reason that the County has decided to step up. We've presented the City with over $5 million for paving the streets. The County has been paving streets for the last two or three years. But to answer your question specifically, if you have the proper leadership skills and management skills, then you would know how to first of all recognize talent, develop that talent of the people that you need to help you run the City. If you have the leadership skills, knowing that you have to get along with the city council, there's no ifs, ands or buts. The arguing, the bickering, the things of that nature that are going on, that can't happen. You have to get along with the city council. That's politics 101. And you have to ask them to help you. One man cannot run the City by himself. You have to have a lot of individuals, and I mean the city council. If I'm mayor, then they have to be mini mayors to help you run the City. What would you have done differently on the budget front? I would not have cut the arts center's budget. There are three things that I think you have to do to be a successful mayor. Number one, you have to have the arts and amenities. If I'm your mayor ,I want to see not only the arts, but I want to see the arts expanded. I want amenities for people. I want people sitting outside. I want to see people eating outside. I want to see people walking. Hinds County District 1 Supervisor Robert Graham leans heavily on the experience accumulated on his way to the county seat, including his 35 years as a civilian member of the Jackson Police Department. One of the things I want to do is make downtown Jackson a showcase for the entire city. I want to see people living downtown. I think the only reason you don't have more people living downtown now is that there is no place to live. I'd like to take several of these abandoned buildings and make them into residential areas. I want people walking downtown, eating downtown, staying downtown. I want to see more concerts, more venues. ... [W]hen people don't have stuff to do, that's when your crime and everything else comes. How would you balance not having enough resources with those plans? Prioritizing is more than prioritizing in one way. Downtown has to be a priority. You have to make it a priority. Then from that, your gateway streets. These are the streets that are most traveled and most people see that are coming inside the city. People have to feel good about the city. I would employ some of the smartest people that I could get my hands on or know, about finances. I would leverage some of the existing money against future money, because we need to do this now. The 1-percent sales tax is always going to generate money, so there are other things that I feel like we can do as far as leveraging the amount of funds in order to get additional funds in. I would like to see four paving crews in the city of Jackson at one time, north, south, east and west. And we may not be able to sustain that for a very long time, but everyone needs to know that they are not being neglected. As mayor, how would you address the apparent disconnect between the City and state leaders and lawmakers? My fundamental belief is that from the cradle to the grave, it is about relationships. I think that a lot can be done with those relationships. I know all of the state leaders. One of the things that I am going to do in the next week, and it has been something that has been in the works for a while, is to send a letter to all of them to let them know that if I am so lucky to be elected as your next mayor, you will have a friend in city hall. You will have someone that you can talk to. I know for a fact that behind the scenes it's relationships, relationships, relationships. And I think there's a lot that we can do to help the state, and there is a lot that the state can do to help us. But we are not going to do anything if we are arguing and fighting all the time. I want to build relationships because again that is a part of that diversity. We need to build on the fact that the Legislature is there for four months. They should be our friends. We should make them know and feel at home and welcome from April to May. They are the biggest homeboys we got. And that's what we have to do. How can you restore confidence in the water-billing system, the quality of the water, and the perception that people have about the City's ability to manage one of its most important resources? Water is an enterprise for the City. It is one of the most important things the City of Jackson has. There again, is a management of crisis. When you don't have your hands, or the right individual has his hands, on the steering wheel, the vehicle goes out of control. That's what's happened, to use that analogy, at the water department. It's complicated for the people that are working there. They don't understand the system. The proper training, the proper planning, the proper implementation, none of that has been done. It's what I call one of these political water systems where things are just dumped in your lap and go, "here take this, work it." Well you can't do that. Not with the enterprise, not with the area that's generating the most money. It should be the one that you should say, "let's worry about the code enforcement office tomorrow, let's get down here and deal with the part that generates money." We are losing I don't know how much money as it relates to the water department. You called it a "management of crisis." What would you do differently? This is a crisis of management; this is a crisis of not knowing. This is a crisis of people not paying attention. When you have the Siemens contract and everything associated with Siemens, no one knowing what to do, no one knowing whether to go or come, we are in a mess. So it's going to take hard work and dedication to get it back. I'm going to place under my website, voterobertgraham.com, a citizen's bill of rights. ... [I]t's going to talk about a lot of different things, but it is going to say this: You can expect to get a water bill on time around the same date each month. You can expect for your bill to be right. You can expect that if a business says its going to open at 8 o'clock that means it's going to open at 8, that doesn't mean it's going to open at 8:15. If it says that it is going to close at 5 o'clock, it's going to close at 5, not 4:45. For the parking meters, you can expect that when you put your money in there that they are going to work. You can expect to be treated with courtesy and professionalism and respect when a City worker confronts you. I think we should let the people know what is expected of us when they call. You don't expect to call and get an attitude. Where as mayor do you see the city's relationship with Jackson Public Schools moving? The mayor appoints all of the City (school district board of trustees) members. Number one, I would make sure that those board members have my vision. I think you have to have a vision. And I think you need to lay out your vision, and then everyone needs to work for that particular vision. I've visited 43 of the 50 states, when I went to Madison, Wis., and also I think it's in Lincoln, the University of Nebraska. I was amazed as to what I saw in both cities, from the time you got off the airplane until where you went, it looked like a college town. I would like for Jackson to be branded as the educational center of the state of Mississippi. We have Belhaven, Millsaps, Jackson state, Tougaloo, Hinds, the University of Mississippi. There is no reason why this should not be a college town. It's in the relationship with the State, working with the State. It's just branding. I think that you are going to have to get ... parents involved. If they are not involved in their child's education, you are spinning your wheels. And it's been done before, to do a male corps, to where there are groups of men who would take ownership of a school. Until that happens, then we are going to continue to have these problems. The police chief recently told officers that due to a desperate budget climate, they would have to do more with less. How do you plan to address crime when a show of force or a police officer on every corner isn't economically feasible? Innovation, technology and social media. Social media is the 20th-century version of the cop on the beat. When you are looking for an individual, you have one or two officers working the beat, but you have 5,000 on Facebook. It only makes sense. A lot of police departments I have visited have incorporated Facebook into almost every area. One piece of technology that I would like to bring and to expand Comstat—you need to know that your leader understands what Comstat is and what it needs to do—I would expand Comstat to predictive policing, to where it uses an algorithm the same as if you were predicting the weather. ... There are models that will actually tell you that a criminal almost always returns to the scene of the crime. And if you can have that police officer there before or shortly after, you can either prevent or apprehend a crime that is occurring. How would your experience affect your perspective on crime? I believe that you have to concentrate on hotspots and hot people. Because what is making this spot hot is this guy. You need to concentrate on this guy. I would create a community resource line, for lack of a better word, where they would identify this guy. Because if you identify enough, and we will park outside of his house if we have to, but you are not going to break in nothing tonight because the police are going everywhere you are going. We would make it hot for him. You have to concentrate on the hot people, not just the hot spots. Everyone in Jackson is not a criminal. Everyone is not committing crimes. The officers know who they are. Let's target them. I don't mean target them in a negative way. Let's target them in a positive negative. That's experience, the experience that I had from the police department. I know where the precincts are, I know the officers by name, I know what the inside of the police car is. I've driven a police car. I rode in a police car. I know how to put handcuffs on. I know the law enforcement code of ethics. I know the police officers. I saw them from day one when they came into the academy and came out the other end a finished product. The stress level is unbelievable. 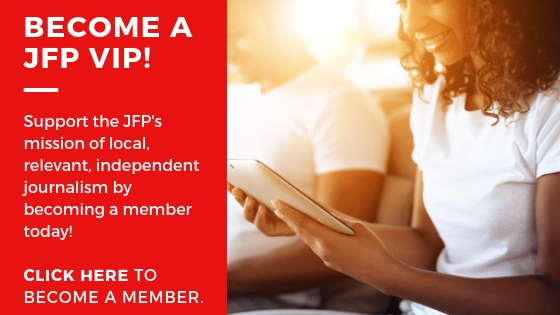 Visit the JFP's 2017 city elections archive at jfp.ms/cityelections17. Email city reporter Tim Summers Jr. at tim@jacksonfreepress.com and follow him on Twitter for breaking news at @tims_alive. Family: Married to Shirley Wilson with four children: Fronchon, Shandra, Tim and Jeremy.